Harold Edward Stassen (April 13, 1907 – March 4, 2001) was the 25th Governor of Minnesota from 1939 to 1943. After service in World War II, he was president of the University of Pennsylvania from 1948 to 1953. He was a leading candidate for the Republican nomination for President of the United States, considered for a time to be the front-runner. He thereafter regularly continued to run for that and other offices, such that his name became most identified with his status as a perennial candidate. Stassen, the third of five children, was born in West St. Paul, Minnesota, to Elsie Emma (née Mueller) and William Andrew Stassen, a farmer and several-times mayor of West St. Paul. His mother was German and his father was born in Minnesota, to German and Czech parents. He graduated from high school at age 14. At the University of Minnesota, Stassen was an intercollegiate debater, captain of the champion university rifle team in 1927, and received bachelor's and law degrees in 1929. After opening a law office with Elmer J. Ryan in South St. Paul that year, he was elected District Attorney of Dakota County in 1930 and 1934, then elected Governor of Minnesota in 1938. Stassen was seen as an "up and comer" after delivering the keynote address at the 1940 Republican National Convention. There he worked to help Wendell Willkie win the Republican Party (GOP) nomination for the presidency. Stassen, who was reelected as governor of Minnesota in 1940 and 1942, supported President Franklin D. Roosevelt's foreign policy and encouraged the state Republican Party to repudiate American isolationism before the attack on Pearl Harbor. During the 1942 campaign, he announced that, if reelected, he would resign to serve on active duty with the United States Naval Reserve, which Stassen had joined with the rank of Lieutenant Commander the previous year. After being promoted to Commander, he joined the staff of Admiral William F. Halsey, Commander of the South Pacific Force, and served for two years. He left active duty at the rank of Captain in November 1945. Stassen played a key role in the 1952 Republican contest when he released his delegates to Dwight D. Eisenhower. His doing so helped Eisenhower to defeat Robert A. Taft on the first ballot. He served in the Eisenhower Administration, filling posts including director of the Mutual Security Administration (foreign aid) and Special Assistant to the President for Disarmament. During this period, he held cabinet rank and led a quixotic effort (perhaps covertly encouraged by Eisenhower, who had reservations about Richard Nixon's maturity for the presidency) to "dump Nixon" at the 1956 Republican Convention. After leaving the Eisenhower Administration, Stassen campaigned unsuccessfully for governor of Pennsylvania (1958 and 1966) and for mayor of Philadelphia (1959). In 1978, Stassen moved back to Minnesota and ran a senatorial campaign for the U.S. Congress. In 1982, he campaigned for the Minnesota governorship and in 1986 for the fourth-district congressional seat. He campaigned for the Republican Party presidential nomination in every election except 1956, 1960, and 1972. His last campaign was in 2000. Harold Stassen, 1980 Republican National Convention, Detroit, Michigan. In Colonization: Aftershocks by Harry Turtledove, part of the Worldwar alternate history series, Stassen appears as a character. The novel was published only a month before Stassen's death. In the ninth episode of the 18th season of The Simpsons, while staying with the titular family, Gil Gunderson makes breakfast and asks the kids "Who wants some eggs a la Harold Stassen?" When met with dumbfounded looks, he reveals the punchline: "They're always running!" Smemo, Kristoffer. "A “New Dealized” Grand Old Party: Labor and the Emergence of Liberal Republicanism in Minneapolis, 1937–1939." Labor: Studies in Working-Class History of the Americas (2014) 11#2 pp: 35-59. 1 2 3 "Guide, Harold Edward Stassen Papers, 1940–1957, 1914–1919, University of Pennsylvania University Archives". Archives.upenn.edu. Retrieved 2010-10-19. 1 2 3 4 "Governor Stassen". Life. 1942-10-19. p. 122. Retrieved November 21, 2011. 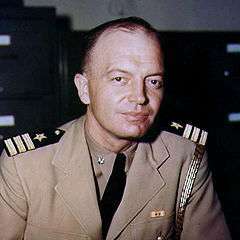 1 2 "Captain Harold E. Stassen, USNR, (1907–2001)". Department of the Navy – Naval Historical Center. March 10, 2001. Retrieved January 15, 2010. 1 2 3 Krebs, Albin (March 5, 2001). 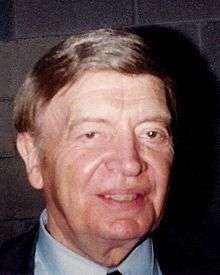 "Harold E. Stassen, Who Sought G.O.P. Nomination for President 9 Times, Dies at 93". The New York Times. ↑ "Youngstown Vindicator - Google News Archive Search". News.google.com. Retrieved October 6, 2014. ↑ "American President". Millercenter.org. Retrieved October 6, 2014. 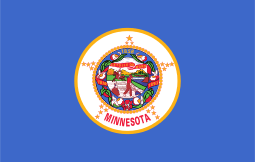 1 2 "Governors of Minnesota". Mnhs.org. Retrieved 6 October 2014. 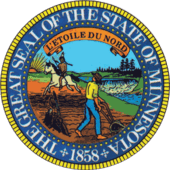 ↑ "MN Governor Race – Nov 08, 1938". Our Campaigns. Retrieved 2010-10-19. ↑ "MN Governor Race – Nov 05, 1940". Our Campaigns. Retrieved 2010-10-19. ↑ "MN Governor Race – Nov 03, 1942". Our Campaigns. Retrieved 2010-10-19. ↑ "US President – R Primaries Race – Feb 01, 1944". Our Campaigns. Retrieved 2010-10-19. ↑ "US President – R Primaries Race – Feb 01, 1948". Our Campaigns. Retrieved 2010-10-19. ↑ "US President – R Convention Race – Jun 21, 1948". Our Campaigns. Retrieved 2010-10-19. ↑ "US President – R Primaries Race – Feb 01, 1952". Our Campaigns. Retrieved 2010-10-19. ↑ "PA Governor- R Primary Race – May 20, 1958". Our Campaigns. Retrieved 2010-10-19. ↑ "Philadelphia Mayor Race – Nov 03, 1959". Our Campaigns. Retrieved 2010-10-19. ↑ "US President – R Primaries Race – Feb 01, 1964". Our Campaigns. Retrieved 2010-10-19. ↑ "PA Governor- R Primary Race – May 17, 1966". Our Campaigns. Retrieved 2010-10-19. ↑ "US President – D Primaries Race – Mar 12, 1968". Our Campaigns. Retrieved 2010-10-19. ↑ "MN US Senate- R Primary Race – Sep 12, 1978". Our Campaigns. Retrieved 2010-10-19. ↑ "US President – R Primaries Race – Feb 17, 1980". Our Campaigns. Retrieved 2010-10-19. ↑ "US President – R Primaries Race – Feb 20, 1984". Our Campaigns. Retrieved 2010-10-19. ↑ "MN District 4 Race – Nov 07, 1986". Our Campaigns. Retrieved 2010-10-19. ↑ "US President – R Primaries Race – Feb 01, 1988". Our Campaigns. Retrieved 2010-10-19. ↑ "US President – R Primaries Race – Feb 01, 1992". Our Campaigns. Retrieved 2010-10-19. ↑ "MN US Senate – R Primary Race – Sep 13, 1994". Our Campaigns. Retrieved 2010-10-19. ↑ "Harold E. Stassen: An Inventory of His Papers at the Minnesota Historical Society". Mnhs.org. Retrieved 6 October 2014.